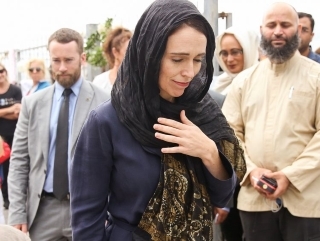 New Zealand Conservative: Islamic Terrorism in the West - who benefits? Islamic Terrorism in the West - who benefits? "Terrorist attack in Nice - another wake up call to join efforts in fighting real threat, not NATO-devised phantoms," said the Russian Embassy in Canada Friday morning. So it's a whole new NATO. Despite Brexit and despite lingering divisions over whether to confront or engage Russia, the transatlantic alliance took some big steps forward at a landmark summit this week in Warsaw. "We face a serious problem in a revanchist Kremlin and this summit has done an excellent job of addressing it," John Herbst, director of the Dinu Patriciu Eurasia Center at the Atlantic Council and a former U.S. ambassador to Ukraine, said during a panel discussion at the Warsaw Summit Experts' Forum. By agreeing to deploy multinational military forces to the Baltic states and eastern Poland, NATO has moved from the reassurance of its allies to the deterrence of its adversaries. Boots on the ground -- particularly American, Canadian, British, and German boots -- should put to rest any lingering doubts that the alliance is prepared to defend its most vulnerable members against a potential attack by Russia. So, why attack France? Probably because France is a major nuclear power and could do what Britain has just done with Brexit - follow the extreme right in reaction to fear of immigrants and terrorism. France has been wavering as well, over the sanctions on Russia, over not being able to sell massive warships to Russia. It's all a bit of a major coincidence, in my mind, the timing of this terrorist attack. To prevent terrorism we must lift EU sanctions against Russia ~ Rachida Dati, and other mostly French politicians.